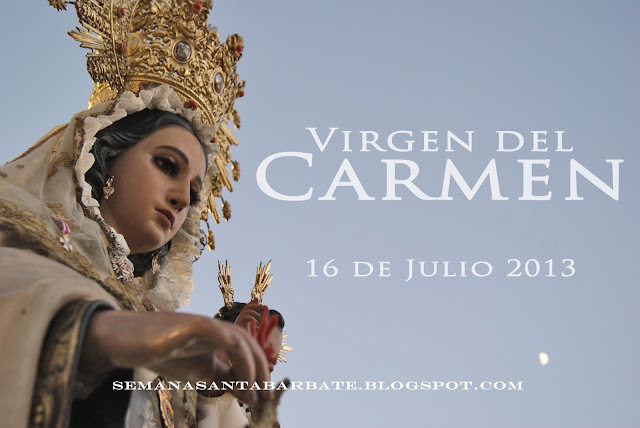 NOTA INFORMATIVA DE LA HERMANDAD DEL CARMEN BARBATE. SE COMUNICA EL CAMBIO DE ITINERARIO DEL DÍA 16 DE JULIO, DESDE LA PARROQUIA DE SAN JOSÉ AL PUERTO DE LA ALBUFERA SALIDA: PAROQUIA DE SAN JOSE, C/ CERVANTES IZQ., C/ CERCO Y JARETA IZQ., AVDA DE LA CONSTITUCIÓN DCHA., C/ VICENTE ALEIXANDRE IZQ., AVDA. DEL MAR DCHA., PUERTO DE LA ABUFERA.